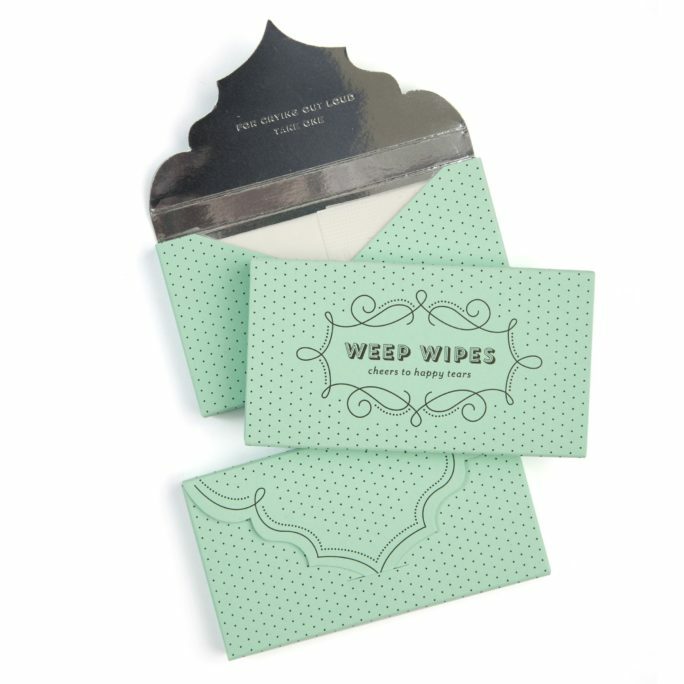 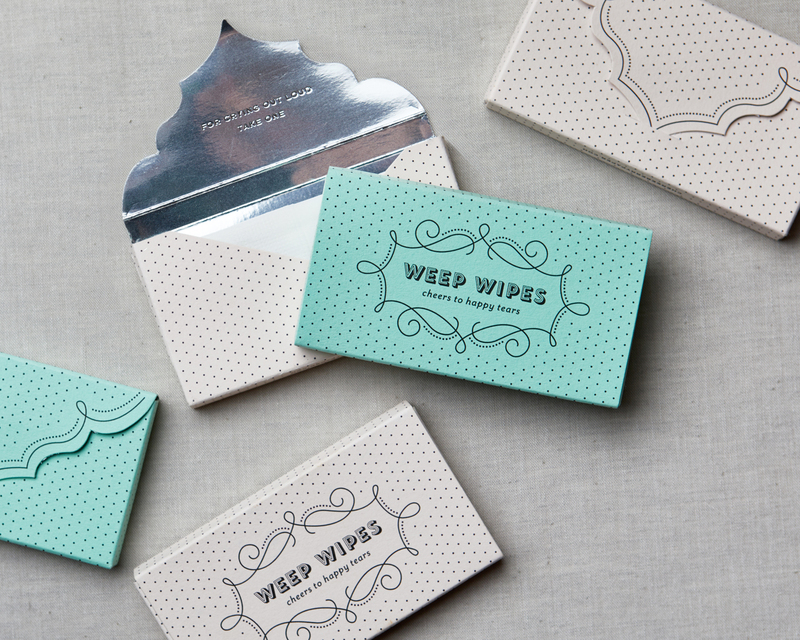 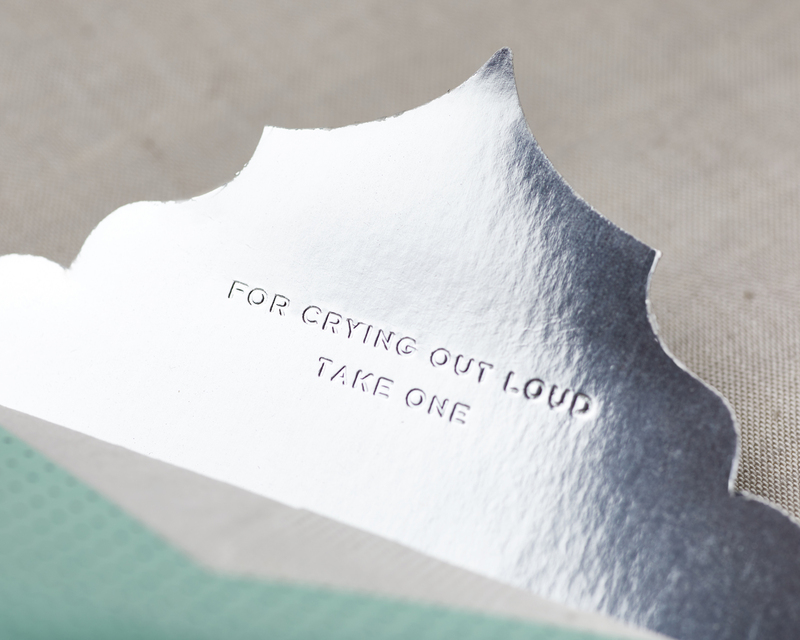 If everyone weeps at weddings, why wouldn’t you need wipes? 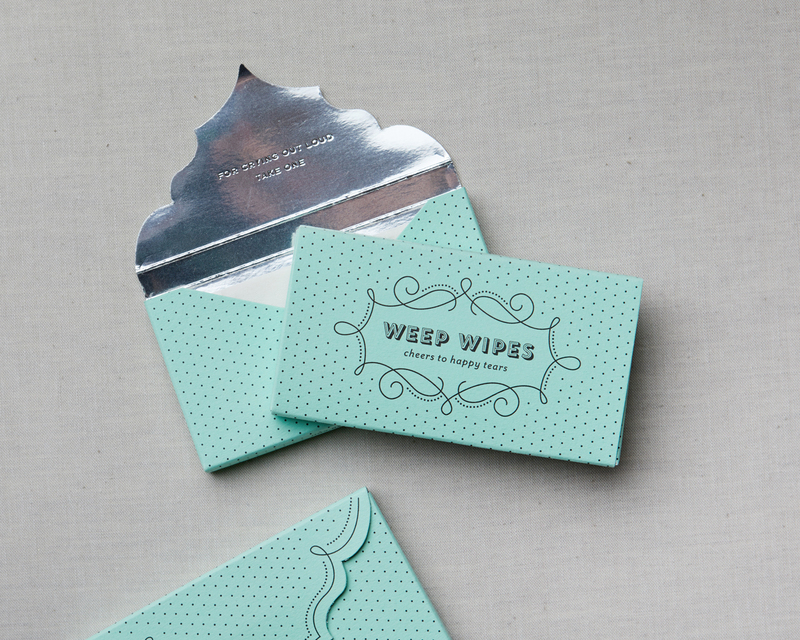 These soft tissues are intended to catch those happy tears and remove mascara messes. 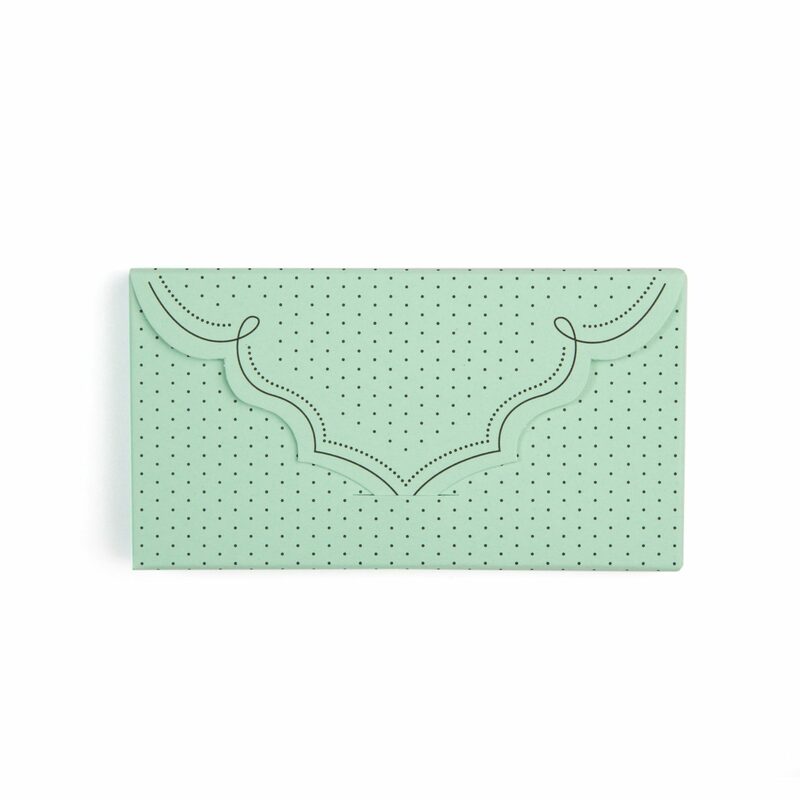 Small enough for a clutch and perfect day-of gifts for the bride, bridesmaids, the whole wedding party, or as part of the welcome bags for guests.